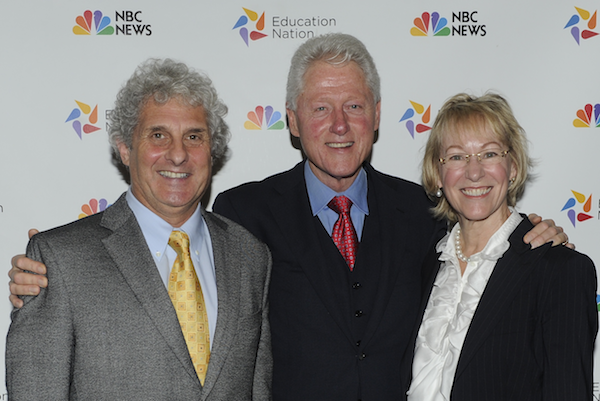 I-LABS was proud to participate in the 2011 Education Nation Summit, hosted by NBC in New York City. The summit took place during the week of September 26, 2011 and sought to 'engage the country in a solutions-focused conversation about the state of education in America' by bringing parents, educators and students together with politicians and business leaders. As events continue to unfold as a result of this event, we will feature coverage of I-LABS' involvment in the summit. Be sure to check back as this page grows! - WEBCAST: Dr. Patricia Kuhl and Dr. Andrew Meltzoff on Brainpower: Why Early Learning Matters. Aired September 26, 2011 at 8:45am Eastern. - John Merrow declares the ‘Brain Power’ session a hit. - Harold Levy, former Chancellor of NYC Public Schools, weighs in on the science presented at Education Nation. - Thrive by Five Washington's early learning and education blogger Paul Nyhan previews Education Nation.